As the article points out, download speeds could be as much as 100 times faster than we currently experience with 4G service. This service will be expensive at first but once everyone has switched to 5G devices those faster download speeds could result in greater use of video as data rates eventually decline. Mr. Zhan describes ways 5G could be used for things like haptic controls in vehicles for purposes such as lane keeping, collision avoidance and more. For our world haptic controls mean we could deploy “virtual rumble strips” in advance of work areas to wake up drivers and perhaps even to return control of autonomous vehicles over to drivers. Zero latency means workers could be removed from the work area and could perform many dangerous operations remotely using a virtual reality head set and controls. For example, they could “drive” TMA trucks remotely. We might also create a remote control cone setting machine. Striping trucks and RPM installation might also be automated. How about a phone app to warn workers? With near zero latency, we could create an intrusion warning system that works fast enough to save lives, while requiring very little in additional equipment – just the smart phones everyone is already carrying around. The work area could be delineated on a digital map and any vehicle crossing those lines would trigger warnings to anyone in the area who has downloaded the app. The possibilities are endless and this new communications protocol is right around the corner. It is time for us to begin thinking about how we might use it to improve safety and save lives. Will Pokémon Go Kill DSRC? 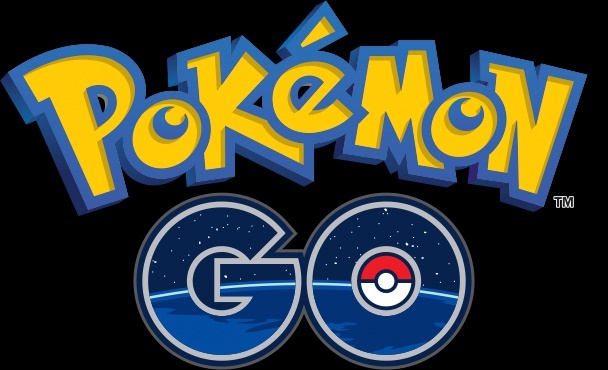 If you have been paying attention at all during the past few days you have heard about the new game Pokémon Go. It is what is called an augmented reality game. It is wildly popular. Tens of millions have already downloaded the game in its first week. They wander around looking at a Google Earth image of their location that allows them to see and perhaps capture mythical creatures known as Pokémon. What I found interesting is that the game is written. It works fairly well and will only get better with time. It is available in both iOS and Android versions. This will be a huge boost for 4G/5G V2X communications and may be a nail in the coffin for DSRC. Think about it! Instead of Zubats, Pidgey, or Paras (varieties of Pokémon), imagine placing work zone devices in this virtual reality. Virtual cones and arrow boards would mark the exact spot where a work zone taper begins. Message signs could display the messages currently displayed on the corresponding message signs in the real world. And all of that information could be displayed in real time in vehicles approaching that location. This could also be done in what you might call the opposite direction. A traffic control technician could be sent into the field with his S7 Android phone. Once he gets to the work area he wakes up his phone, clicks on the work zone app, and a Google earth image of what he is looking at in the real world pops up. But that image shows the work zone already set up. It might show the messages for the message signs. It would be very easy to place each advance sign where it belongs. Just look at the buildings, trees, etc on the virtual display and place the ROAD WORK AHEAD sign in the real world where it shows on the virtual display. Traffic control plans would become a virtual reality file that designers would use to fit their plans to the real world conditions. Once done, it should work perfectly in the real world. It is like Computer Aided Design/Computer Aided Manufacturing – what you draw is what you get! But I digress from my earlier point and it is an important one. Augmented reality is here. It is working on digital phones on 4G networks. There is no reason to start over again and do the same thing for DSRC. Granted, there are some applications where latency is an issue, like warning the vehicle behind you that you are about to stop, where DSRC still has advantages. But, thanks to Pokémon Go, I don’t believe infrastructure features such as we will need for work zones, will be working through DSRC.